As well as a lifetime romance with cinema and films, I have also had an interest in photography for the last thirty years. My favourite films are almost always foreign language productions, latterly known as ‘World Cinema’. There have been films made about photographers, and others featuring significant characters who happen to be photographers. These may be fashion photographers, war correspondents, or crime scene specialists. I have seen most, if not all of them, and I cannot ever recall being overwhelmed by a single one. I never expected to come across a film that would bring together all the elements designed to make me want to see it; as if I had conjured up the script from thin air. Then I discovered ‘Everlasting Moments’. The early days of photography, a setting and time historical in nature, and Scandinavian as well. I sat down to view this with trepidation. There was the possibility that everything I held dear could be destroyed in a couple of hours, by a bad film. I needn’t have worried. From the moment it started, I instinctively knew that not only was I going to enjoy it, but that I was about to watch something very special indeed. The sepia tones of the opening scenes recalled the early photographs themselves. 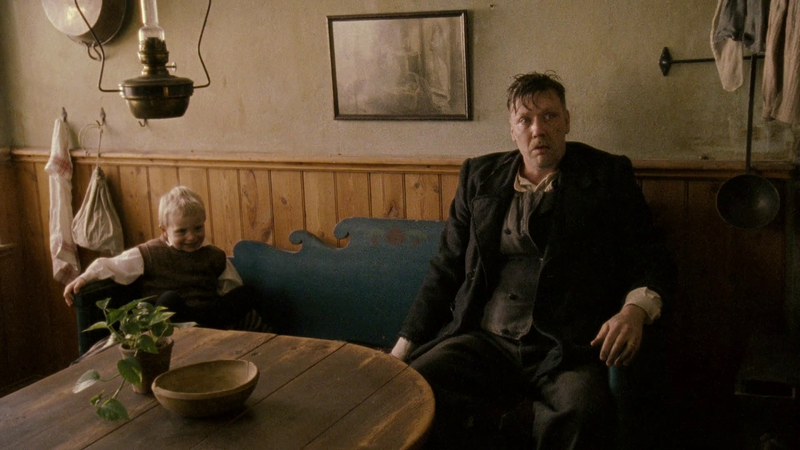 The scenes in the working-class districts of turn of the century Malmo screamed authenticity, and the largely unfamiliar cast guaranteed that I would not be put off by the appearance of an actor I didn’t like. Maria Larsson is a Finn, married to a Swede, Sigge. He is a man’s man, a hard-working dock labourer, and he gets work because of his great strength. After work, he likes to get drunk, and come home to disrupt his family. If his wife complains, she is beaten. If she keeps complaining, she is raped. Though these scenes are off-camera, they are no less disturbing. Maria works hard too. As well as raising their children, she takes in washing and sewing from anyone willing to pay. She is forced to tolerate her husband’s flirtations with other women, and even her family refuse to help, telling her that she must stay with the man she married. Before she married, she won a camera in a lottery. It had been put away, as they had no money for film and she had never learned how to use it anyway. When a dock strike starts, Sigge gets no pay, and falls in with a group of radicals and anarchists, who are hoping to use the strike for their own ends. Maria is desperate. And doesn’t know how they will feed their ever-growing family. She discovers the camera, tucked away in a blanket cupboard. Hoping to raise some much-needed cash, she takes it to the local camera shop. There, she meets the kindly Mr Pedersen, a Dane. He is disappointed that she has never used the camera, and strikes a deal with her. He will show her how it works, and supply the film and developing chemicals for her to create her own photos. When she has tried it, he will pay for the camera, deducting the amount he has already laid out in supplies. He shows the dowdy, downtrodden housewife how the lens captures the image, by reflecting a moth onto her hand. This is a captivating moment in the film, as she is amazed by the image, which is so believable, she closes her hand over the insect, as if to prevent it escaping. Alone at home, she photographs her cat at the window, and soon realises that she has the skill to take good pictures. Eventually she reveals the secret to her children, taking a group photo of them, and swearing them to secrecy. When her husband discovers that she has the camera, he demands that she give it up, so he can sell it. She bluffs him, telling him that it is already pawned, to Mr Pedersen in the photography shop. As the years go by, she has more children, and begins to take photos for her friends and neighbours, charging them small amounts. After he is released from a spell in prison, Sigge arrives home to discover a queue of people waiting for a sitting. He demands that Maria stop, but she has found her spirit in the camera, and refuses. One neighbour loses a young daughter in a drowning accident, and asks Maria to take a photo of the girl in her coffin. Maria takes two shots. In the first one, she includes the blurred faces of other children, peering through the opaque glass from outside. She then takes a second, formal shot, for the bereaved mother to keep. When Mr Pedersen sees the first picture, he realises that Maria has real talent. He takes the photo, as full payment of everything owed. By now, the attraction he feels for Maria is obvious, and we are left to believe that the feeling is mutual. Even when they have to move away, when Sigge finds work in a stone quarry, Maria makes the long tram journey to the shop, to still get her supplies there. With the arrival of WW1, the Swedes are mobilised, and Sigge goes off to the army. 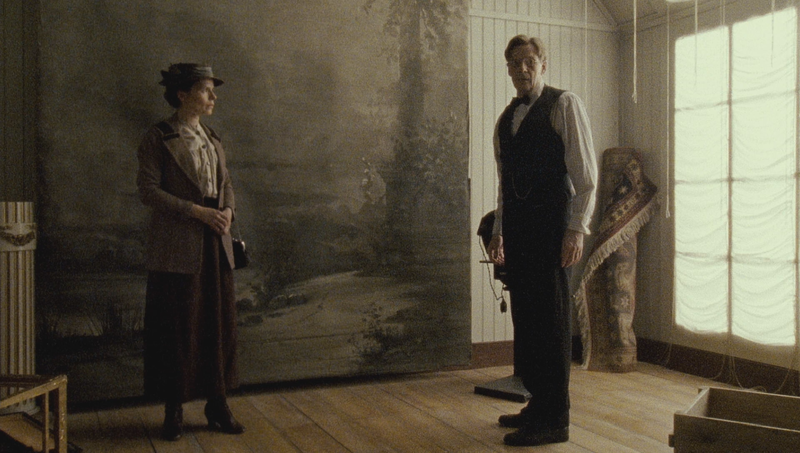 Business is so brisk in the studio, that Mr Pedersen offers Maria a job there, but she refuses. She places her duties as wife and mother above her desire to pursue the main interest in her life. As the Swedes do not join the war, Sigge returns home, falling back into his old ways, despite finding employment as a cart-driver. Maria has achieved some recognition, when a photograph she took of the Scandinavian kings made it onto the front page of the local paper. 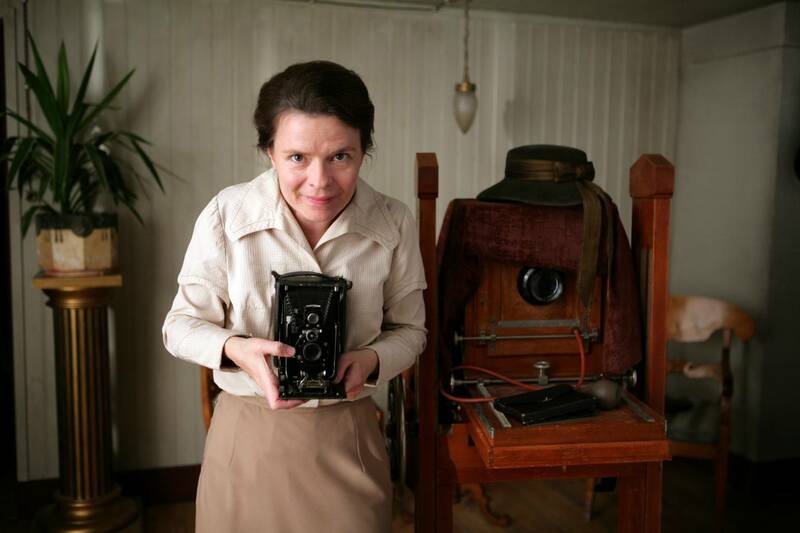 At the same time, Pedersen was filming the event with a movie camera, and shows Maria the film of her, taking her famous photograph. But time continues to march on for all concerned. Sigge has a horse, rescued from injury after a fall. He turns over a new leaf, swears off the drink yet again, and starts his own business, moving the family to a house in the country. Pedersen decides to sell up, and move nearer to his children. Maria takes the only photograph of herself that she has ever shot, a simple image, reflected in a mirror. Soon after, she dies, and her daughter finds the undeveloped film in the camera. Perfect. This film is about so much. Domestic abuse, a hard life at the beginning of the twentieth century, and the turbulent history of Europe at that time. It is also about love and redemption, and how a simple thing like a camera, and the photos it takes, can be a reason to go on living. It is flawless. Exquisite article, Pete, for what is clearly an exquisite film. I have to see it! Thank you for sharing your thoughts. Slow-moving and a little old-fashioned Niall, but all the better for it. Much appreciated Sarah. I feel confrdent that it would lift your spirits! Pete, you have a knack for “discovering” films that would have forever eluded me otherwise. This sounds like a great film. I thoroughly enjoyed your review. Thanks David. This film had many nominations and awards, so it was relatively easy to ‘discover’! I was attracted by the still of the leading actress clutching the old camera. I had an instinctive feeling that this would be ‘one for me’. I must find this film, after reading your review, Pete! Spoiler alert! And yet somehow I think the joy of the film is not in the destination but the journey. Another wonderful review and one to watch. On the topics of photography have you seen the documentary McCullin? Sorry about the delay, Lloyd. I have just seen your comment. yes, I have seen McCullin. The review should have contained a spoiler warning perhaps, but as you say, it is not about the ending. I found McCullin fascinating and heartbreaking. Quite a life and career. Next time for spoiler alerts and you let me know if I fail to put a warning in one of my reviews where it would be handy. 🙂 Best wishes Pete. That article was sent for approval, and I thought they would add a spoiler alert. I should have done it myself.